Seems I am living on a trajectory of learning. A sliver of finger has appeared and I am very grateful. The compounding lessons have opened or, perhaps, I am opened. All is so intertwined, I don't know beginning from end. Things began to unravel Wednesday afternoon, the day I awoke feeling a bit under the weather and, well, cranky. I almost put off the appointment I scheduled a month ago with the Episcopal pastor who is walking me through a New Year's retreat I had missed because of touch of the flu. This was a follow-up to my work. I spent an afternoon braving through the first half, identified blessings, burdens and patterns of last year, stymied to forge ahead to this year because I had not selected my "angel" word. As Mary says, my new word for the year. I was anxious, but asked her to select. We could never quite cross paths, so opted for a quick check-in Wednesday and time for me to get my word. I wanted to know what it was, but she said most people like to tangibly receive their word, so I'd have to physically retrieve it. She was playfully teasing me, but serious. I am patient. When I wandered into the beautiful, large church, but one that also feels like home as my girls attended pre-school and many summers of Bible school here, Mary caught up with me and we entered her office together. She handed me an envelope. Gingerly, I fingered it, neatly undoing the glue. The art card contained an owl and Mary had taken the time to look up the entomology of the word in several languages. Before I got to that, however, the small piece stamped with an angel and my word fell out. 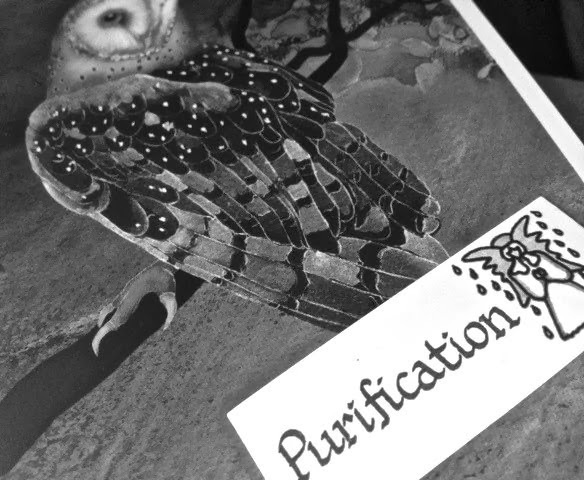 Purification, it read. Not what I was expecting. "I've done this many times and no one has every had that word,"Mary said. "Thats' why I checked it meaning." Wow, I wondered. what does this mean? Grateful to get my word, it took awhile for my real reaction to take hold, which it did as I left her office. Tears welled. "Really, God, this word? I am so tired of this journey of constant spiritual discomfort and learning!" What she hadn't known is that Catherine, my name, means pure. How could I say it doesn't fit? We talked about it a bit and when I told her the word I had distilled last year's lessons into was truth, I could see purification as the next step. Thanks, Saturn, I murmured sarcastically, remembering how that planet rules my sun (Capricorn) and, in alchemic terms, means the transformation of lead to gold via a deep, interior process. "Pivotal for me last year,"I found myself confessing though not for the first time, "was an experience at a Quaker mystics retreat when a woman I hadn't known gently touched below my windpipe and told me that's where she experienced the seed of God. In the moment, I did for the first time. I could always identify it in others, but failed to do so in myself." That's where last year's word of truth emanated. So with the truth, it's time to do some sifting, casting off and, as Mary said, seeing with new eyes. "It can mean for the scales to fall from your eyes, for you to have new insight and perspective, to see Reality." I rallied myself that evening to make my monthly archetypal astrology group. I can't imagine missing and I could not wait to share this word with them. Atypically, when we checked in, I began. Lots of nods because they knew it fit my path. The night's topic was discerning our soul's path from our ascendent, the sign that was rising when we were born. Char, a dear, wise spiritual friend and leader/collector of this group had prepared an affirmation for each of us based on our ascendent. Mine resonated very closely with my purification word. "The deeper purpose of Cancer (my ascendant)," a handout from Char read, "is to selflessly nourish others through compassion and unconditional love. To realize the highest purpose, the Cancer Soul needs to transcend fear ... this is achieved by keeping one's attention on one's inner light, which encourages it to grow." Yes, I sighed when I read this. And my task this year is to burn off the fear and doubt, that which no longer belongs – purification. I provide the haven, the safe haven, in the universe. safe and loved, secure, well understood and cherished. I am the womb of the new. I am patient, the Master of the Ties of emotions and moods. I easily navigate the ebb and flow of emotional atmospheres. into the bright light and power of the Sun. I give birth to new life on the upper spirals of existence. harbour it so it may be cherished later. I am emotionally brave, magnetic, strong, and persistent. I care and I share and so people trust and depend on me. I make them feel safe and secure, needed and protected. I hold the family of man together. I am that unity. the public mass consciousness on the planet. I have more energy than I need and can change rhythm at will. my quiet power can transform all that is old into the new. I am prosperous, self-reliant, shrewd, thrifty and methodical. My dance IS between comfort and challenge and where I find my partner, Spirit. • What word would I choose to describe last year? • Where am I in the dance between comfort and challenge? • Where do I find God in that? • What have I learned about myself or journey recently? Yesterday was a red-letter day. I haven’t experienced one of those in a very long time and it felt wonderful. Two events precipitated my mood. The first was a spanking-new workshop I facilitated with a friend and new partner on chronic pain. Not an easy topic, but one she and I have both lived. In fact, we met in her first yoga class 15 years ago when I was in the early stages of struggling with fibromyalgia. Since then, she’s fallen down a flight of stairs and lives with post-trauma stress disorder, which affects her sleep and pain levels. We each live and work the chronic-pain subject. Late last summer, I felt called to ask her if she’d want to join forces for a workshop on pain as teacher. She didn’t flinch and asked why I had waited so long to ask. I have written about and taught this theme, but felt her input and our working together would be a win-win. So far, it has been. Not the least of which I experienced early on one afternoon at her dining-room table. She was tired and I completed her sentences and we laughed at how easily that happened. Next, I couldn’t make heads nor tails out of my written notes and she had no problem. No one else has ever been able to decipher my reporter’s shorthand. “This is scary,” I remarked. “It’s like you’re in my brain” and I think she was. Years ago, we delightedly discovered we share the same, rare Myers-Briggs type, INFJ. For the uninitiated, that translates to introversion-intuition-feeling-judging. When I lamented that I seemed like a wishy-washy mom with my kids, she was quick to note that our type is the best kind of mom for the sometimes difficult children we parent because we let them be who they are. I reminded her of this conversation just yesterday. Last week, I was experiencing a lot of angst a day we were meeting. She was okay with that and it dissipated. Today, her birthday, she was running ragged and low on esteem for pretty much the same reasons I was last week: trying to meet everyone’s needs; not enough self-care; launching a business, spending a lot of time at it, but not seeing the rewards of income (yet); living in a chaotic house because it is not a priority to children, and overwhelming for someone combatting chronic pain. Yesterday, however, we pulled it together in a way we have been meant to in showing our humanness AND our learning to others similarly struggling. We’d created a good plan, improvised and tweaked, then had little time to practice, though neither of us minded given our busy schedules. We both trusted it would flow. Five scattered people, whom neither of us knew, arrived by 12:15 at the chiropractic office (loaned by a supportive healer) for what was uncharted territory. Maybe not for Spirit. In my crazy-artist way, I had suggested we use props to illustrate the defensive, survivalist ways we deal with our pain. Renee didn’t hesitate to agree. So, I gathered two giant, sound-producing Hulk hands (fighting), empty club-soda bottles (squashing), plain Venetian masks (masking), pillows tied with rope (choking), a basket of blocks (blocking), small buckets of sand and black pebbles (burying) and paper-mache´ boxes filled with fluffy, white stuffing (stuffing down), confident they would work. I set them in the middle of our circle and, one-by-one, directed our guests to select a prop. After a brief hesitation, each complied. I have learned ALL adults need to play and will once they get over the shock of novelty. Then Renee guided a gentle body-scan meditation, directing participants to where their body may be calling them, where it was being most tenacious, then asking them to give their pain a personality. She ably led them deep, quickly. Soon, we were back asking them to apply their chosen mode of pain management to their personality and what that conversation might be. The responses were rich, wonderful and interesting. 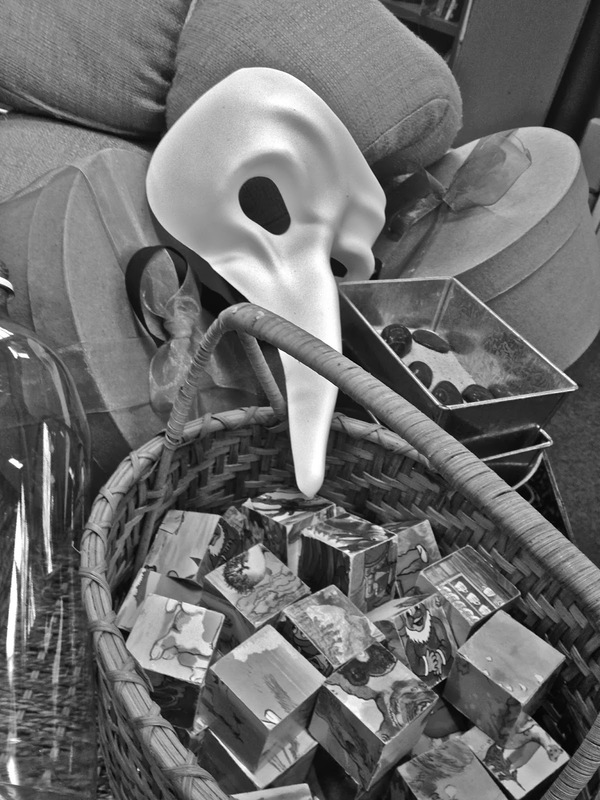 Props often carried other meanings and helped one woman, steeped in a variety of pain and diseases, express her anger in a safe place where people listened and understood. Renee wisely reminded her that anger is energy and an agent of change. When we learned she spends 75 percent of her day lying down to keep pain at bay and drove across town just to join us, I was astounded. It affirmed what we are doing. I floated the rest of the afternoon, steeped in deep satisfaction and knowing this is my work right now, with Renee. With a half-hour left in the business day, I headed toward the bank to open a business account. I’ve always shuffled between personal and savings, keeping good records, but meaning to get my own account. I finally did it and on a day my work feels confirmed. I think there’s definitely a message of encouragement here. And I am so grateful to have a partner in crime, who gets me and this work. Happy Birthday, Renee. I think we’re birthing something amazing together! • When has Spirit provided a partner in any realm? • How does it feel to be sharing something? • How does a partnership shatter the illusion of aloneness? • How has Spirit let me know I am on the right path? • How am I able to respond in/with gratitude? What the hell am I doing in this life? It’s just too hard here. 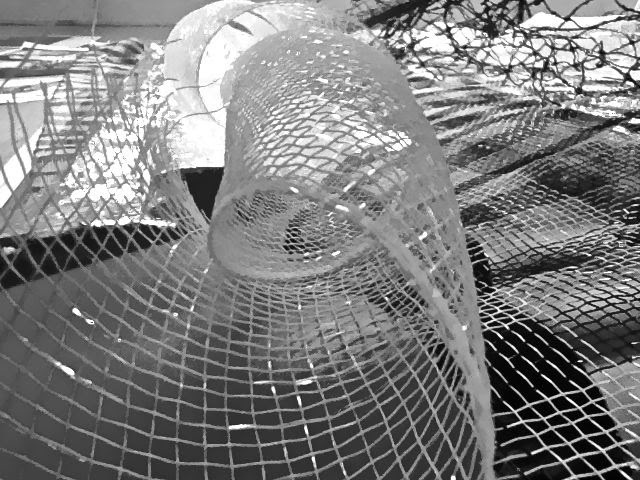 My only moments of true freedom come in prayer, as I swim or make art. Otherwise, I feel shackled with the unending saddle of everyday life. I can not seem to reconcile my deep need to earn money with my bodily struggle of fibromyalgia and where I seem spiritually called. I can’t remember the last time I felt a sense of accomplishment or valued. I do believe I have ministry, but who, exactly, am I ministering to? Take this blog, for example. I am compelled to write, usually twice a week, about my weak and vulnerable self. Sometimes people seem to identify and I receive a few heartfelt responses. Mostly, I think it goes unnoticed. Pretty much the way I feel. My purpose doesn’t seem clear. At least not today. Last week, it seemed full and rich. I envisioned being more of a presence, your presence, at Oakbrook, the subsidized-housing complex from where I draw Artsy Fartsy kids. I feel alive and purposeful when engaged in the creative work for them. A woman said she easily holds others in the light, but asked what it means for her to stand in it herself. I was immediately guided to the Bible and, as I have learned from conservative Friends’ Bible study, simply opened to a passage. Jeremiah is where I landed. The word repent struck me as I know it to mean being repositioned, changing course. Standing in the light is letting God chart our course and letting the rest fall behind. Sunday the passage was speaking both to the woman’s condition and my own. When I hear God, I hungrily devour the words, which sear my heart. As today, I often feel alone, yet I know God’s hand is on me. I do feel anger (I do not know how righteous it is) at the condition of the world and even in my own life. And, as Jeremiah, I feel unending pain. So, what do God’s words in that passage to Jeremiah speak to me? That I need God to change my direction, my attitude, my mindset. Everything. I feel a strong desire for restoration particularly in my vocation. I must speak and write only with integrity. I am grateful for the opening of this scripture and introduction to Jeremiah, whom I have never read. He is human and trusts God enough to vent his anger. The wall of pain is up – literally. In prepping for the March and April workshops on “Pain as Spiritual Teacher” I am co-facilitating with my first yoga teacher and dear friend, Renee Groenemann, I opted to make a more permanent wall than the one I did in paper and tempera early last spring. I relish transcribing a personal but universal experience into something tangible. The wall’s function is to allow one to walk through with awareness and relate it to how they deal with pain. How did I encounter the wall the first time? Did I run through it or stand at the edge, waiting to enter? Did I enter willingly, reluctantly or begrudgingly? Then, somehow, I lost it. Must’ve been about contemplating that dang pain wall … again. I am exhausted from re-entering it the past few days. While I am creating this for another purpose, I understand its creation is also serving me. I can name my pain and, even more than that, transform it into something interesting, bordering on beautiful, and look at it objectively. I can touch it, walk through it, not walk through it, re-arrange it, re-position it and play with it, prayerful it will help others. That act alone transforms my own pain experience and takes the edge off. God was letting me address my wall of pain by standing in the light, not a comfortable place to be, yet necessary. • What would I like to get off my chest and to God? • [How] do I express anger at Spirit? • How has that been transformative? • What does standing in the light mean to me spiritually? • Describe the last time that transpired.